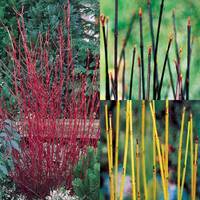 Cornus Midwinter Fire (commonly known as dogwood) is a shrub which produces ovate, mid-green leaves and small, cream/white flowers in May and June - however, the flowers are not the star of this show. 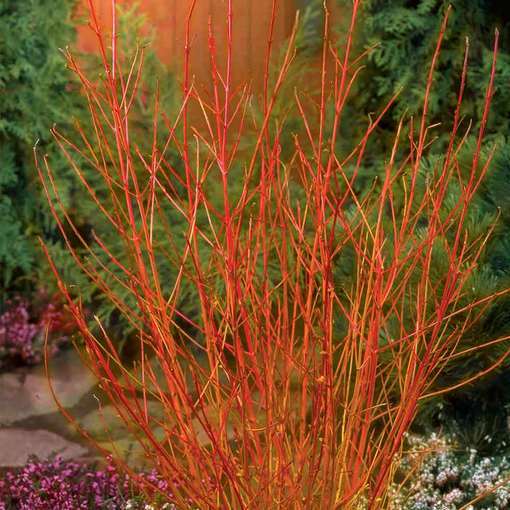 In autumn, Cornus Midwinter Fire stays true to it s namesake, slowly revealing brilliant flame-coloured stems as the leaves fall away. 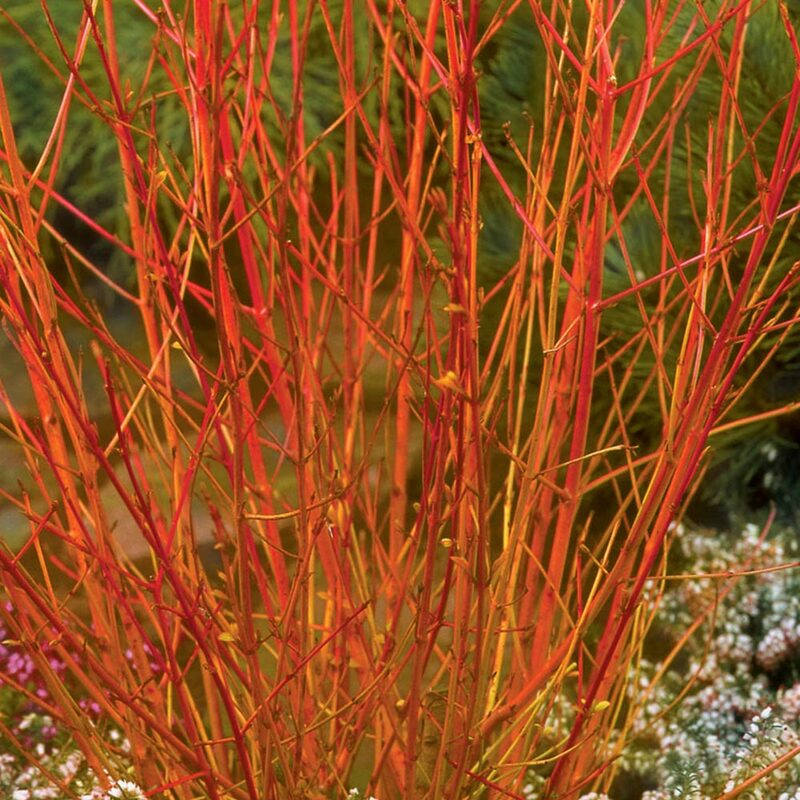 Shoots begin a yellow-orange, with the tips turning a brilliant red as the season goes on, giving the shrub a flaming look. 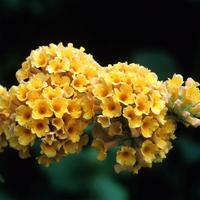 Perfect for bringing a burst of colour to bare winter gardens. 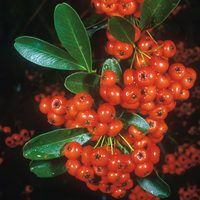 You could even use the orange-red stems for an indoor arrangement, perhaps even spraying them gold for a festive look. 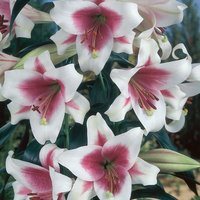 We'd recommend planting in groups for a truly fantastic show in winter once all the other colour is gone. Bare rooted 30-50cm plants supplied. How Supplied Bare rooted 30-50cm plants supplied. Bare rooted 30-50cm plants supplied.